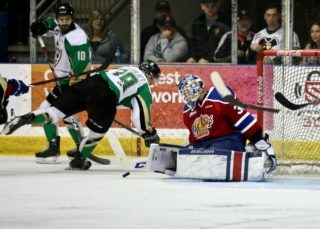 Prince Albert, SK – There are some special dates on the calendar for fans at the Art Hauser Centre during the Prince Albert Raiders’ 2018-19 season. 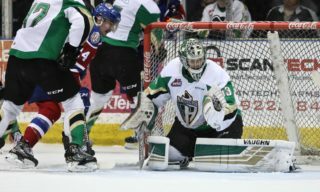 Today, the Raiders announced the promotional schedule for the upcoming season, beginning with our home opener on Friday, September 21 against the Regina Pats Presented by 900 CKBI and Great Western. 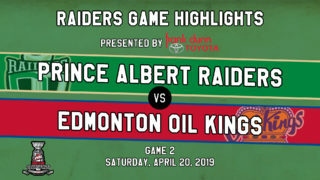 Be in your seats for 7 p.m. for the introduction of the 2018-19 Prince Albert Raiders. The first giveaway of the season is Parker Kelly Bobblehead Night Presented By Canadian Tire on Saturday, October 13 when then the Red Deer Rebels visit the Art Hauser Centre. Further details regarding the distribution of the bobblehead will be released closer to game day. The Raiders will also be wearing two specialty jerseys this season. The first will be on our Remembrance Day Game on Friday, November 9 against the Swift Current Blades. The second will be held on our regular season home finale on Saturday, March 16 for Fan Appreciation Night against the Saskatoon Blades. On this night, the Raiders will wear a jersey designed by a fan. Details for the contest will be released later this summer. Two more games take place leading up the holiday break in December. On Wednesday, December 8, the Raiders are partnering with the Prince Albert Optimist Club to host Santa Anonymous Night. Fans are encouraged to bring unwrapped toys to the game for donation to the Salvation Army. On Saturday, December 15, the Raiders will be holding their annual Teddy Bear Toss Presented By Canadian Tire. 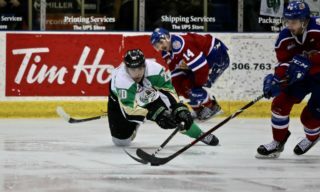 Last year, captain Curtis Miske scored the goal that sent the fur flying at the 13:30 mark of the first period in a 6-5 shootout win over the Kamloops Blazers. In the New Year, the Raiders will be holding their Second Annual Sock Hop Presented By Parkland Ambulance on Saturday, January 12 against the Calgary Hitmen. Fans are asked to bring new socks to the game and throw them onto the ice during the second intermission for a chance to win a prize. The socks will be collected by Parkland Ambulance and given to people in need. 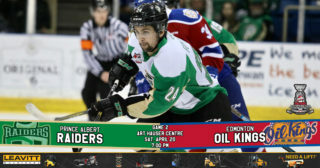 On Monday, February 18, the Raiders host their annual Family Day Game. This year, the Moose Jaw Warriors visit the Art Hauser Centre for a 4 p.m. start. Following the game, fans who purchased tickets are invited onto the ice for a post-game skate with the players. The final game is Wall Of Honour Night on Friday, March 1. The Raiders celebrate their past by inducting more members into the Wall Of Honour. The recipient(s) will be unveiled at a later date. Single-game tickets will go on sale on Thursday, August 30.